CALBAYOG CITY – Department of Public Works and Highways has started the implementation of Improvement of Migara Road and Maybog Road at Brgy. Guin-on, wherein the road going to Brgy. Maybog is already finished and is now working on finishing the Migara road. 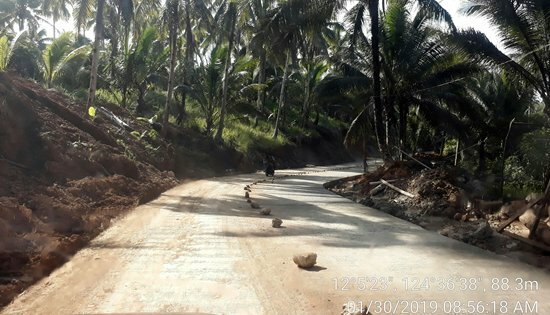 The roads of both Migara and Maybog are now all concrete and widened to 3 meters per lane whereas before, the roads are damaged and intermittently concreted with narrower width of 2 meters per lane. The project is funded under the Support for Infrastructure Projects and Social programs with a total allocation of P38 million. This project is the improvement of Maybog road which covers 1,068 meters going to Brgy. Maybog and 540 meters of Migara road going to Brgy. Migara. This project is of considerable importance because the road will now be wider and concrete which makes the residents, bypassers and motorist’s travel easier and convenient. With the considerable number of motorists passing and growth in population on both barangays, it is about time that roads will be improved. Road network is vital in an area’s development by providing access to employment, education and in fighting against poverty. Once this project is finished, about 1,750 inhabitants of both barangays and residents in nearby areas will benefit the said roads.